Word’s AutoCorrect feature is designed to typos as they occur. You’ve probably noticed that “teh” is changed to “the” and “adn” is changed to “and.” This saves you some time when it comes to editing your document. AutoCorrect is also used to apply special formatting. For example (c) is changed to the copyright symbol. Like many of Word’s features, you can customize AutoCorrect. You can use it to save some time when you’re working. You can assign abbreviations to frequently used names, phrases, and terminology. 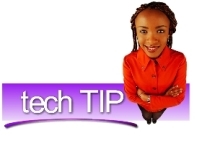 Read more Tech Tips in the archives.